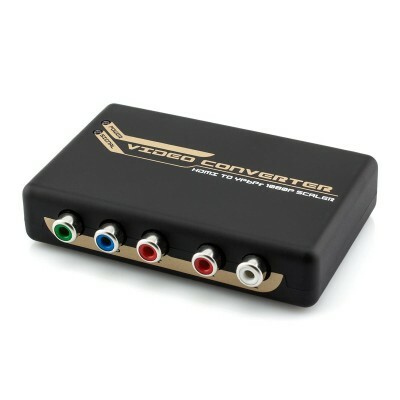 Converts HDMI to High Quality Component Video and Stereo Audio! 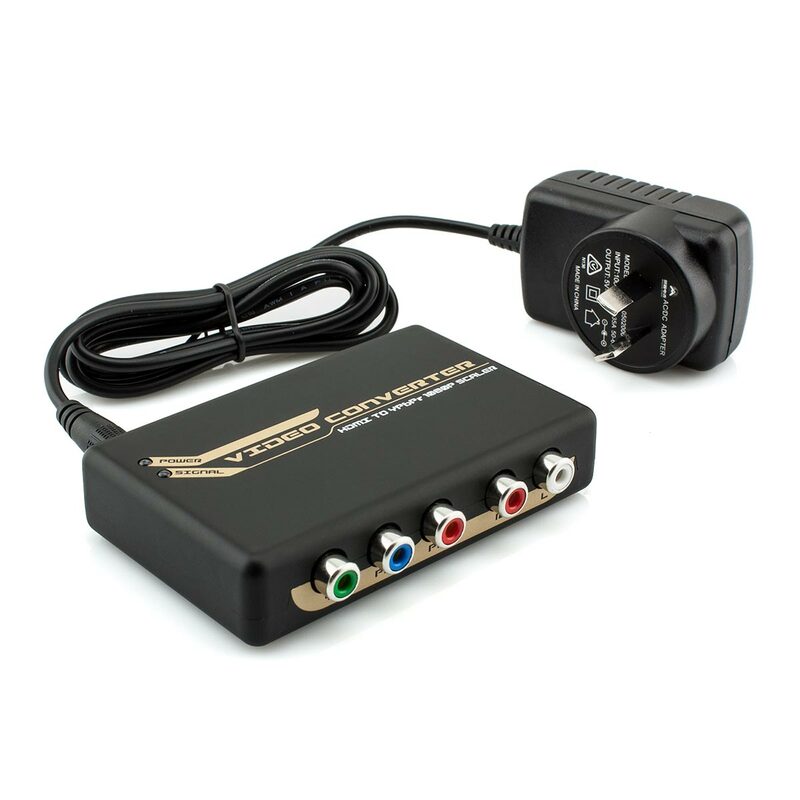 This device will facilitate the connection of modern HDMI enabled source devices to previous generation displays which accept component video input. The plug and play design will ensure that the installation procedure is simple and effortless. This coupled with the compact and robust form factor of this brilliant device makes this the perfect addition to any entertainment system. 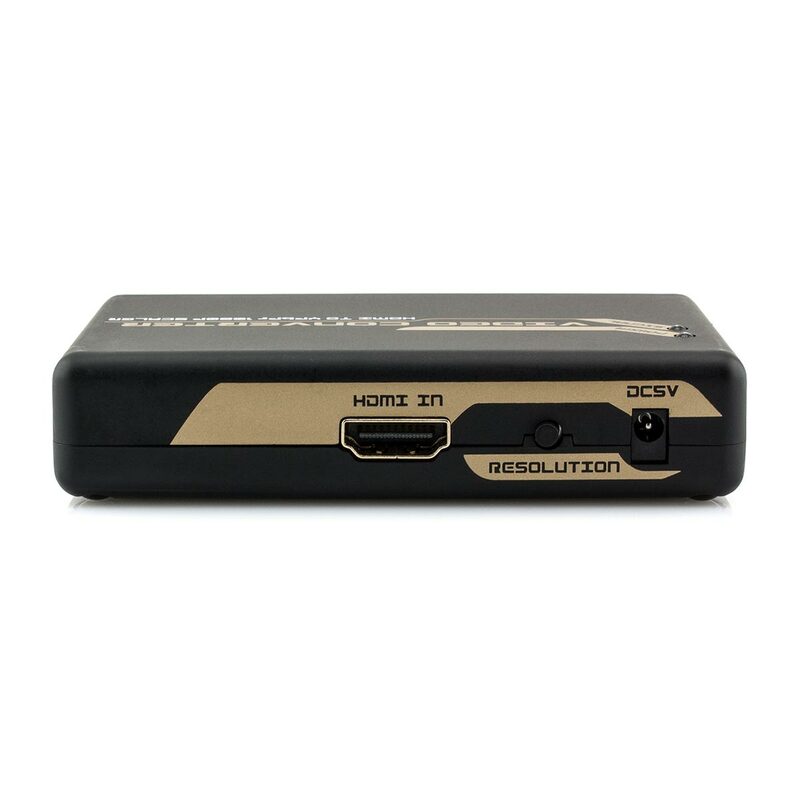 The onboard resolution selection switch allows the user to select the optimum resolution which in turn will ensure that the highest quality video is preserved. 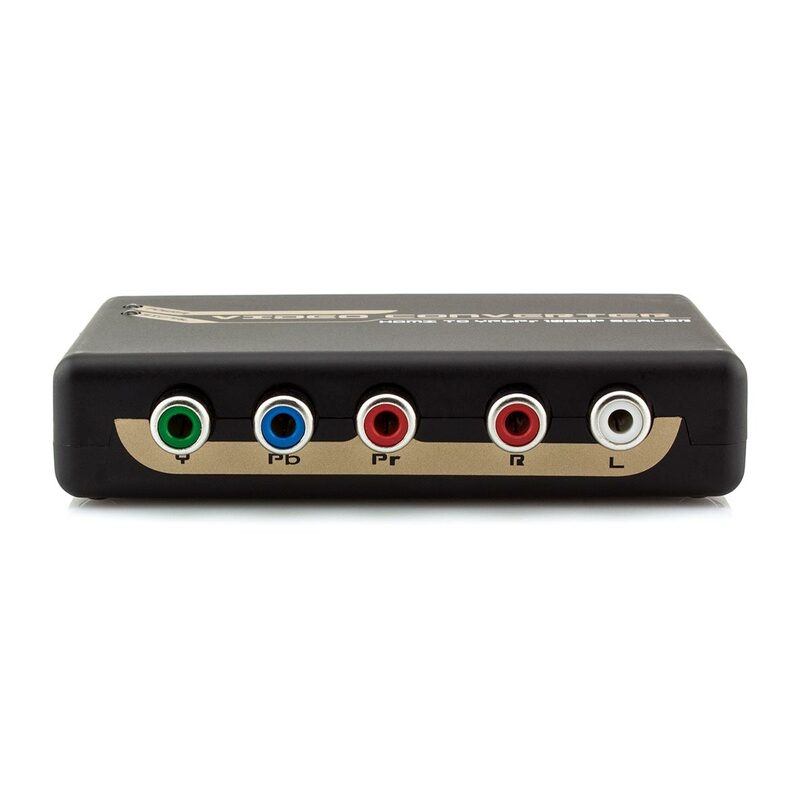 This converter will also extract the audio stream from the incoming HDMI signal and convert this to high quality analogue audio via the left and right RCA outputs. This can be connected directly to the display or to an external audio system.